Anyone for tea? 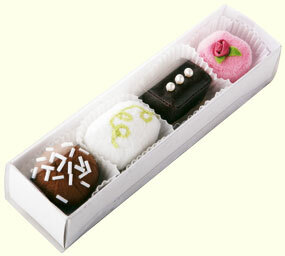 This set of Petit Four is a must for any little princess at her Teddy Bear tea. Set of 4 made of cloth.